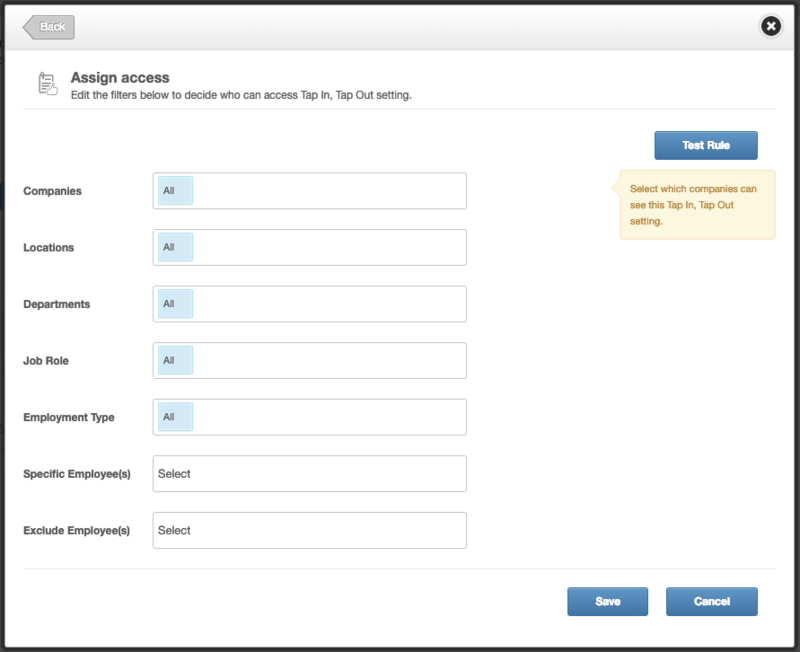 You can enable the ability for employees to tap in and out directly from their mobile phone when they enter and exit work. This information will be stored as a Timesheet on the employee's planner - you can report on this via the query builder. There are many different ways you can choose for employees to clock in from their phone, as well as each option being affected by the employee's choice for this to be manual or automatic. This article explains how each option works as well as how to set them up. 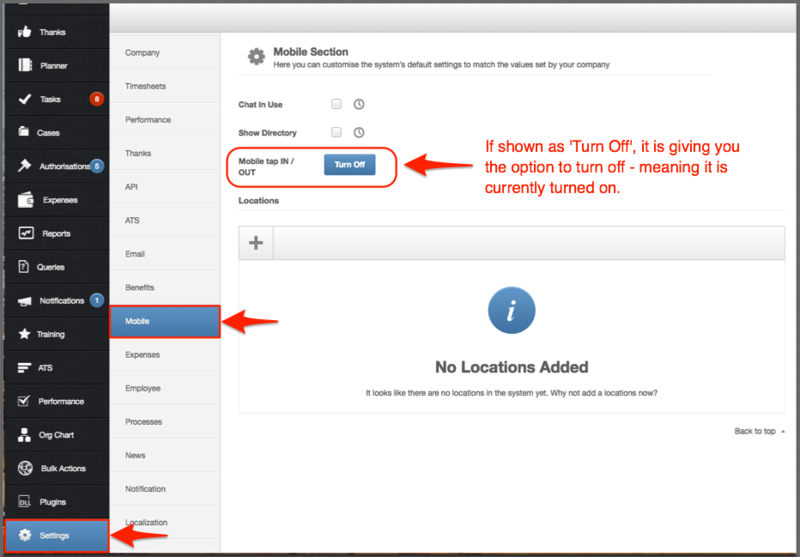 If TapinTapout mobile is on and there is no location added, users will be able to tap in and out wherever they are. If you do set up a location, the system uses geofence technology to locate when an employee enters/exits the specified area and clocks them in. 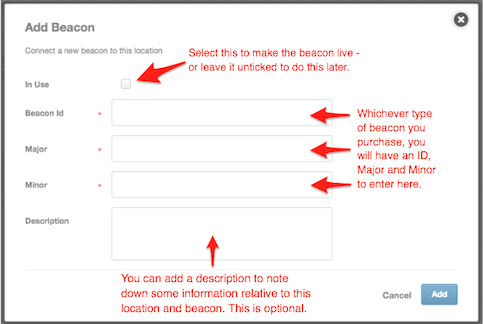 You can also add a beacon or QR against it - explained later in this article. 2. Use the 'In Use' button to set this live as soon as you save this location. 3. Give it a name, such as 'Support Office', '2nd floor' etc. 5. 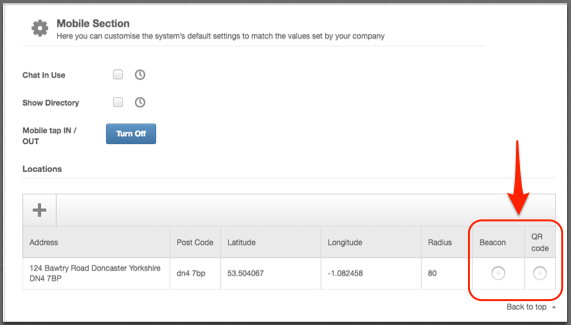 Click ‘Find Latitude or Longitude from address', this will show the coordinates for the address. 7. Click 'Next' button. This will allow you amend the size of the area that is part of your geo-fence location. 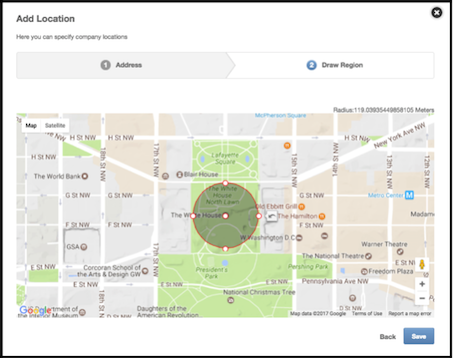 If you leave this location as it is, the system will use Geo-fence technology and monitor when an employee enters and exits the specified location. You also have the option to connect this location to a Beacon, use our QR code and scanner, or even give employees both options. The idea is that you would keep a beacon close to the entrance of your work place, or a specific office/area in the building, and an employee will be clocked in when within the beacon zone, and clocked out when leaving the beacon zone. This technology will be useful if you wish to see if an employee did had arrived at a certain place that day. As this works through bluetooth, there may be a delay in the clock in times, therefore is not ideal for workers who are payed by the minute. 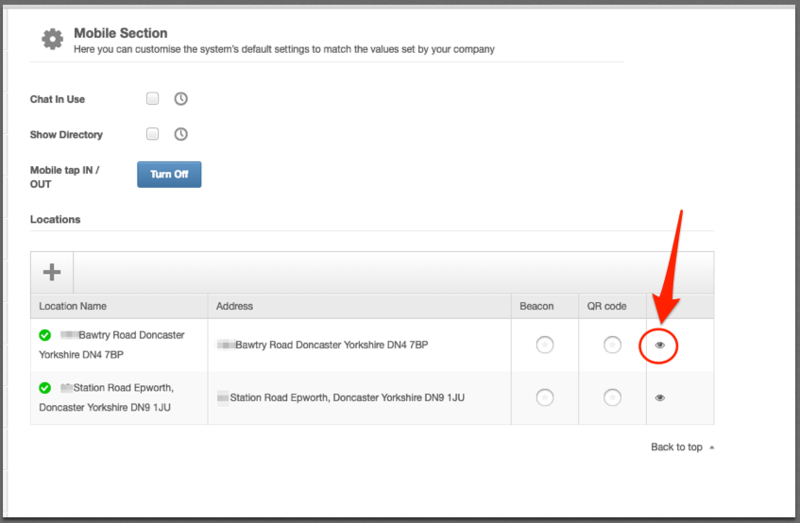 Please note: The info added in the 'description' text box will be shown when you reporting on the employee's clock in and out data. Specifying the location in the description will be most useful for this - e.g 'Support Office' or '2nd floor entrance'. People® can provide you with a QR code you can print and put up near your entrance/exit. Employees can then scan this code via the mobile app to be tapped in and out. 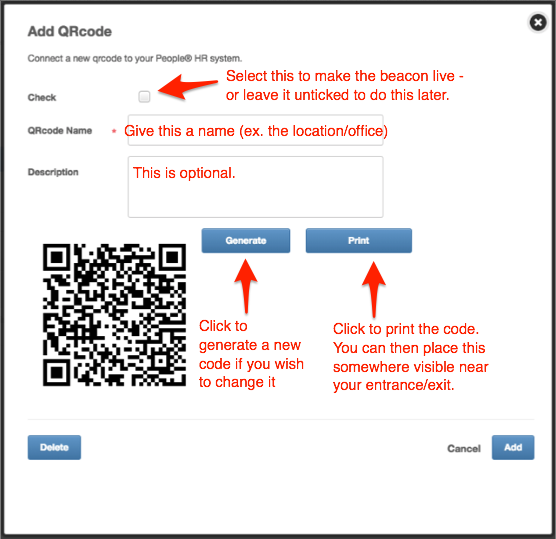 You are able to add both a beacon and a QR code to one location. Employees will then be able to choose. You may only want a group of employees to be picked up by a specific beacon or use a specific QR code. 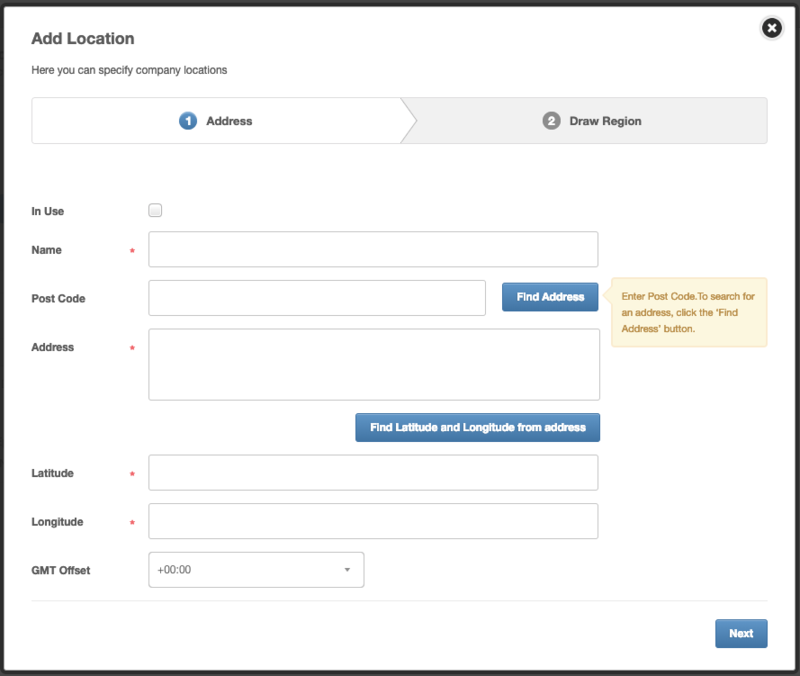 With the use of filters, you'll be able to specify a group of employees for each location. As well as filtering by Company, Location, Department, Job role and Employment type, you can also specify in a little more detail as to who will be included or excluded from a certain clock in setting. Specific Employee(s) - When using this filter, the system will look at this and nothing else (other filters will revert back to ‘All’ by default). This can be used if you only want this to be used by one or a few specific employees that would otherwise not land in a specific ‘Location’ filter for example. Exclude Employee(s) - There may be a certain employee that lands in all of your above filters but needs to be excluded from this, such as contractors, or on site workers. If there is a location set, employees are able to choose whether they wish for this to be Automatic or if they'd prefer to do this manually. This option is in under 'Settings' within the mobile app. Below you will find a two tables that explain each functionality and how they work based on the employee's setting. 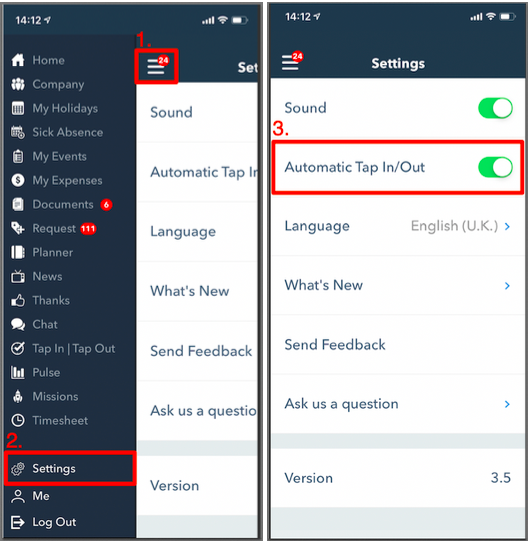 Once you have set everything up, employees will be able to clock in and out via their mobile app - automatically or manually.